Crabs, starfish, mussels and lobsters are ankle-deep in places along the Holderness coast in Yorkshire. Most of the animals are now dead – except for lobsters. Yorkshire Wildlife Trust’s Living Seas team have been working alongside local fisherman rescuing the lobsters that are still alive - gathering them in buckets and taking them to tanks in Bridlington for care - putting them back in the sea as the weather improves. Thousands of dead starfish washed up on a beach in Ramsgate Kent following the 'beast from the east' weather snap. The spectacular scene was described as "like the Armageddon" by wildlife enthusiast Lara Maiklem, 47, who photographed the phenomenon. The BBC reported Dead marine life, debris and mysterious "solid deposits" have been washed up on the beaches of West Norfolk in the wake of Storm Emma. "There's no cause for concern but samples have been taken for analysis," said West Norfolk Borough Council in a series of tweets. 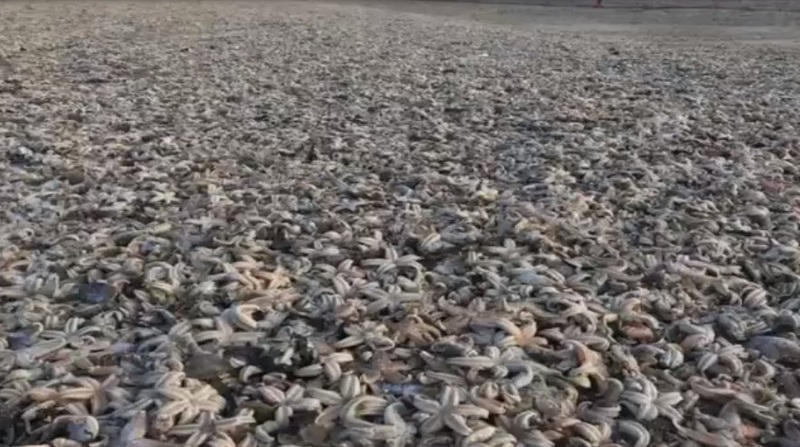 Strong winds and large waves left thousands of starfish and shellfish on the miles of beaches between Hunstanton and Old Hunstanton. They also brought in what the borough council called "solid deposits", which are now being analysed. Elsewhere the severe weather conditions in Britain have uncovered an ancient forest which usually lies hidden under the sand, see below. 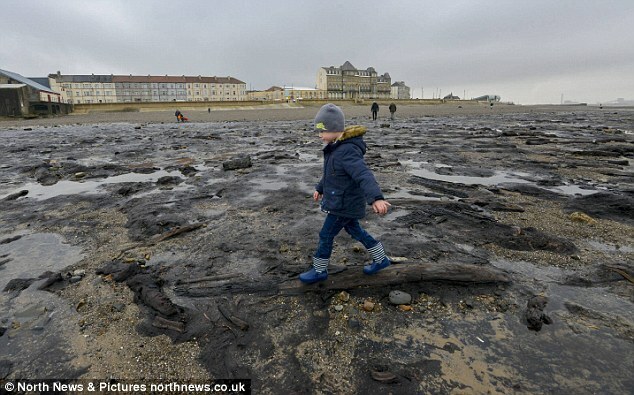 The woodland in Redcar and Cleveland dates back 7,000 years and is very rarely visible, but the extreme weather has shifted the sand - meaning that the ancient tree stumps and felled logs can now clearly be seen on the shore. Although only a stretch of around 400 yards has emerged, since Storm Emma the forest runs for several miles along the coastline, according to the Daily Mail. Agreed Gary, it is a cause for concern! We industrialized humans are creating weather patterns at will. Our methods of climate engineering kill the Earth and our biosphere, that means all life. Animals have survived a long time in their environment, they didn't just turn too stupid to live there. Our planet's (and our) future is in our hands. We need to speak openly about the ongoing climate engineering and its consequences. The clock is ticking. Our time runs out. The ongoing mass extinctions will NOT exclude humans. Thanks for your wonderful work at The Big Wobble!